Joannes Zwijsen was an energetic Dutch priest who also became a pioneer in the fields of education and health care. He was deeply touched by the immense suffering he saw around him, and he was convinced that the Church had the responsibility to make the world more humane. And that he did, together with the sisters and brothers he gathered around him. Joannes Zwijsen (1794-1877), son of a miller, was a passionate and idealistic person. At a time when the Catholic faith was suppressed, he opted to be ordained a priest. 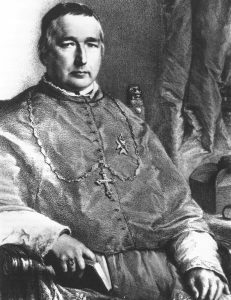 Being an enterprising man, he became one of the major organizers of the rebuilding of the Dutch Church: he was ordained as bishop in 1842, and in 1853 even appointed archbishop. 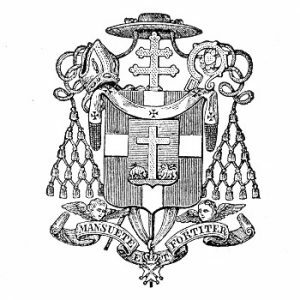 He had access to an extensive personal network, which included a number of ecclesiastical as well as business connections. He was a friend of the Dutch Kings William I and William II, and numerous ministers. Fully in accordance with the spirit of his time, he grew into becoming what you could call a ‘Prince of the Church’, administering the Dutch Catholic Church from his seat in Den Bosch. Before Zwijsen was ordained a bishop, he was a parish priest in a Tilburg where he undertook actions no less remarkable. 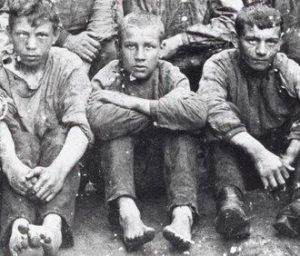 During his first days in Tilburg, in 1832, he had been appalled by the poverty, the illiteracy and the spiritual negligence of the youth in this upcoming industrial town. He understood how all these factors influenced each other and started preparing a Christian response to it all. One of the very first measures he took was not allowing First Communion to children who had not been to school. From a Church point of view, this may have been a rather questionable directive, but it surely had a major impact on the local society. The result was that child labour decreased, while school attendance increased. 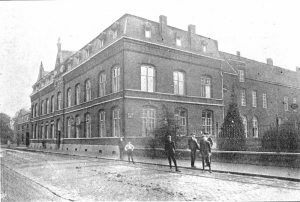 In 1832 Zwijsen founded the Congregation of the Sisters of Charity (SCMM), and this group developed with unexpected success. On the impact of this success, he started in 1844 also a congregation of Priests and Brothers (CMM). 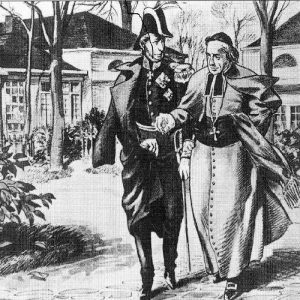 With these two religious communities, Zwijsen created an enormous boost to the education in the city and the region, because many sisters and brothers were able to become teachers in the desperately needed public schools he was also able to open a large number of care institutions, such as St. Elisabeth Hospital, institutes for orphans, handicapped children, the elderly and others requiring special care and education. The leadership of these institutes was entrusted to the sisters and brothers. Inspired by St. Vincent de Paul, Zwijsen had a powerful vision to create a better world, a world in which the weak and the poor were not abandoned or neglected, but were fully accepted in society. In his eyes all people had the opportunity to commit themselves to merciful action. In the poor and needy one could see and meet the person of Christ. That was something he wholeheartedly believed, and with that inspiration Zwijsen knew how to motivate other people to start working. But Zwijsen was not just a visionary. Level-headed and acting concretely and by building up the required networks of cooperation, he was able to accomplish many of his ideals. In his eyes, mercy was first and foremost a matter of good organization. Zwijsen was a man who was moved by the suffering he saw and who had the courage to roll up his sleeves and to start the actual work of fighting poverty. One of his beloved expressions was: In order to succeed, you just have to start working. He was not only a decisive bishop, but also a pioneer in the fields of education and social care, as well a prophet of mercy.